Born on an island in the middle of the Atlantic, the sea and the mountains were my playground. Although currently based in Lisbon, Portugal, I spend most of the year travelling on assignments. 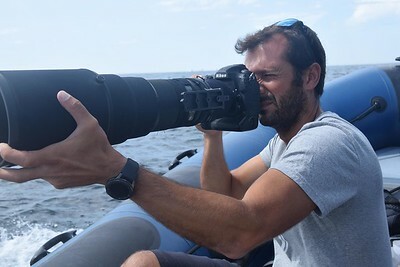 I'm a professional adventure sports photographer for nautical, sailing, yacht racing and extreme sports photography for advertising, corporate and editorial clients. My goal is to be able to transmit the experience of life through my photos, to achieve the feeling of being in the middle of the action. Working hard is the only road to success.